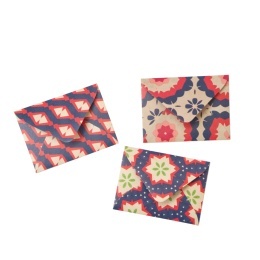 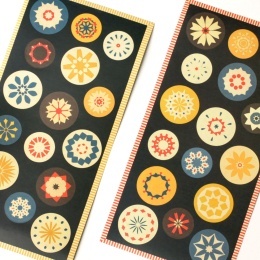 Beautiful set of 10 patterned mini envelopes - one per each patterned paper from the JACKIE series - in a small format (7 x 5,5 cm). 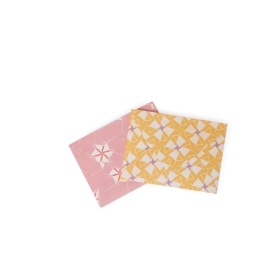 All mini envelopes contain a small cream card. 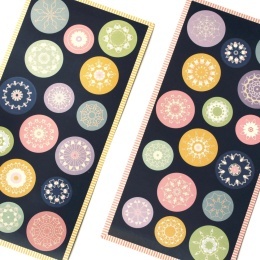 Use to accompany a little flower greeting, as gift tag or as perfect accessory for your kids’ dolls house.